We are visual animals. So when it comes to food, presentation is everything. In deciding what to eat, certain colors and textures instantly turn us off or on. Think of runny sautéed spinach versus a salad of fresh vibrant spinach. Which one would you reach for first? Restaurants know about your tendencies and have worked hard to not let a great dish be undercut by bad presentation. The concept of putting food on a plate in a specific way is called plating, and if done correctly, the battle for the hearts, minds, bellies, and repeat business of diners is often won at soon as the plate is put down on a table. With a little practice you, too, can elevate your dishes at home into something approaching art. Beyond just looking good, proper plating can encourage picky eaters to try new foods as well as regulate proper portion sizes for anyone on a diet. So here are five ways to give your food an extra dimension with your mastery of visual presentation. Anyone who's travelled abroad can attest that the portions in America are huge. We operate under the assumption that more food means that we're getting a better deal. But how much food can one really consume? Keep yourself honest by not crowding the plate. Let what's underneath peek through and provide a nice contrast between food and plate. The rule of thirds simply states that no more than two-thirds of the plate should be covered with food. 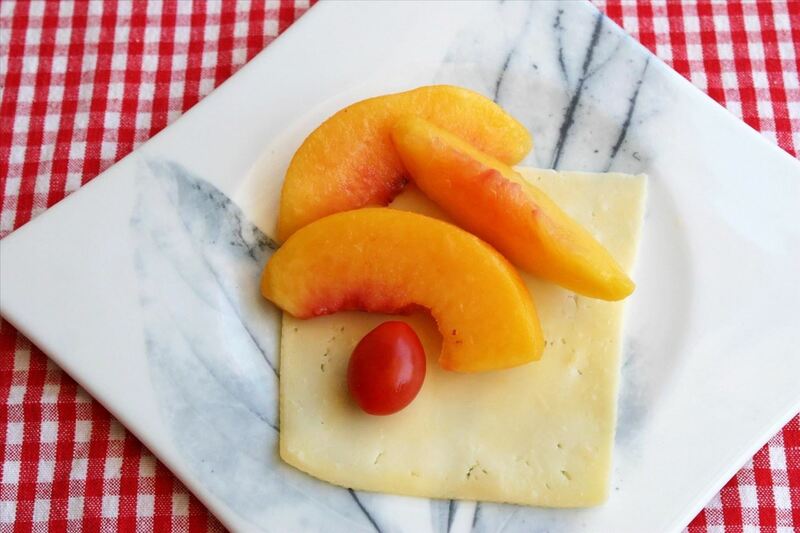 A toddler's snack, artfully presented. You can even use a fifty-fifty split if what you're serving is particularly rich or filling. A nice medallion of filet mignon sitting on whipped potatoes would lend itself nicely to this presentation. Food isn't clothing... feel free to clash! Single colors signal monotony to the brain. Likewise single textures or repetitive patterns. That's because somewhere in our primordial lizard brains, we tend to gloss over something that we perceive as boring and label it as not worth eating. But our eyes go to something that sticks out, anything really that breaks the pattern. Put your pork chop on top of a bright red cherry glaze or an uneven bed of shaved carrots and other radishes to really wow someone. 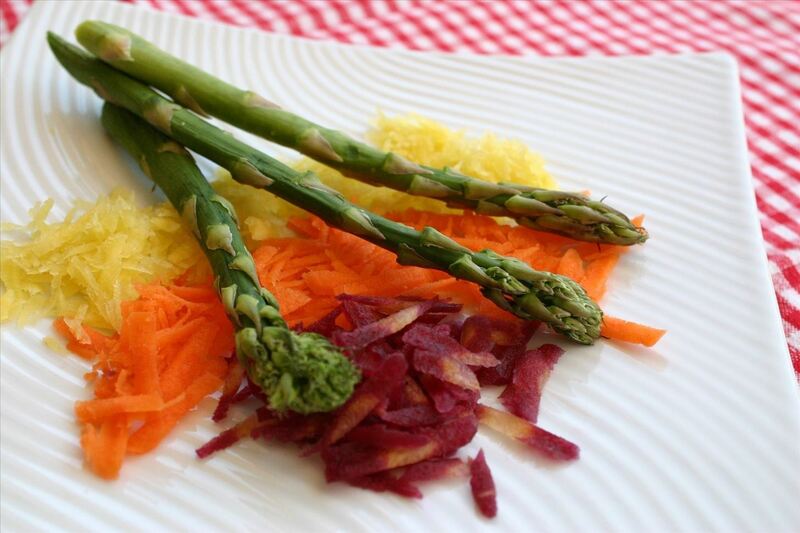 Even a vegetable-hater would be intrigued by this arrangement. The same concept as the previous tip applies. When something is symmetrical (mirror images when cut in the middle), our brains read it as normal and formal. Government buildings and wedding cakes make good examples of this. They give you a sense of stability, but don't really inspire passion. Don't let this happen to your food! Make it asymmetrical and uneven. Imperfection is interesting. And since your first attempts at plating will probably be messy and uneven, you'll be seen as a genius for making such bold plating choices! 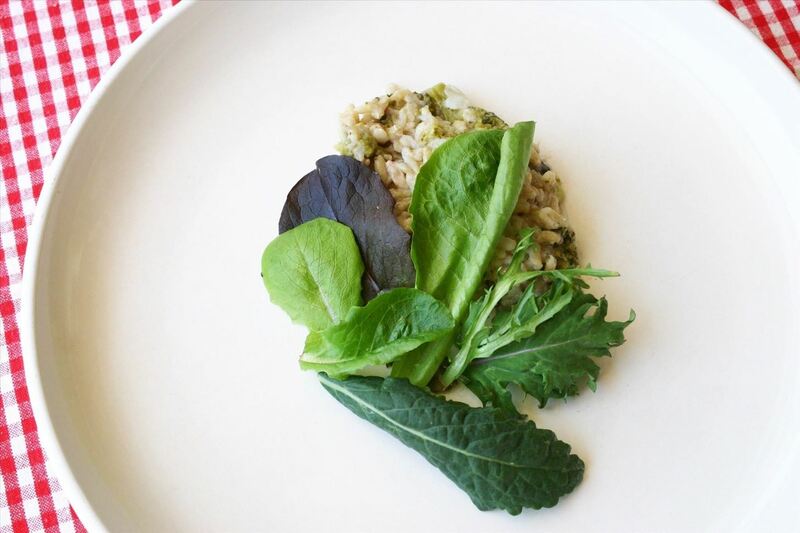 These greens make an (asymmetrical) point: they're interesting and highly edible. This is a fun one. In Japan, one of their seven plating techniques is called sugimori, which is a standing or slanting arrangement. We're so used to seeing our food lay flat on our plate that when the food emerges vertically toward us, we're fascinated. 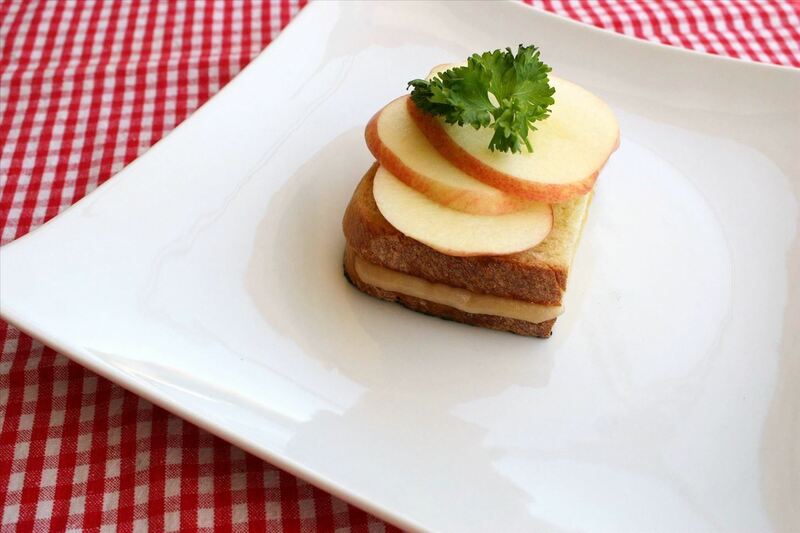 A grilled cheese sandwich and apple slices become more interesting when stacked. Stacking is exactly what it sounds like: different elements are laid on top of each other which adds depth and another view of texture to your food. In professional kitchens, metal rings are used to make stackable disks (for things like potatoes au gratin). An easy way to mimic this at home is to use an empty washed out tuna can. Just place the food in your can and turn it upside down on the plate. Alternately, you can remove both ends of the can, place it on the plate, and stack your food within it. Slowly remove the can and you've got a sharp-looking base of food upon which you can keep stacking! Are you noticing a trend? Even-steven is boring, so make sure that if you're putting multiples of anything on a plate, you're doing so in odd numbers. So let's take shrimp. 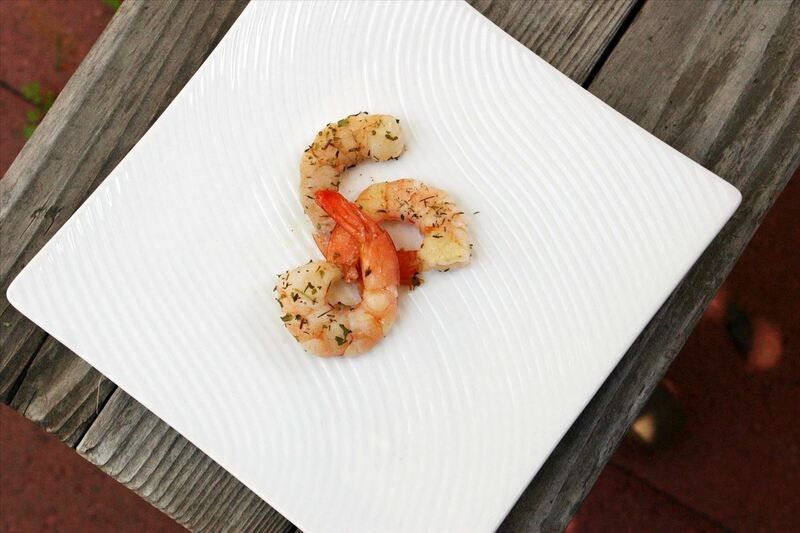 For a truly special plate, put down three, five, seven, or nine shrimp. Don't put down even numbers: that's symmetrical... yawn. Be uneven and be memorable! Three shrimp are exponentially more interesting than four. Your mom was wrong: you should play with your food. Take everybody's favorite condiment, Sriracha, and make mayo, powder, or salt out of it. This trick revives a stale baguette and makes it edible again. And these ingenious ways to transform leftover pizza will keep you reaching for the next slice.